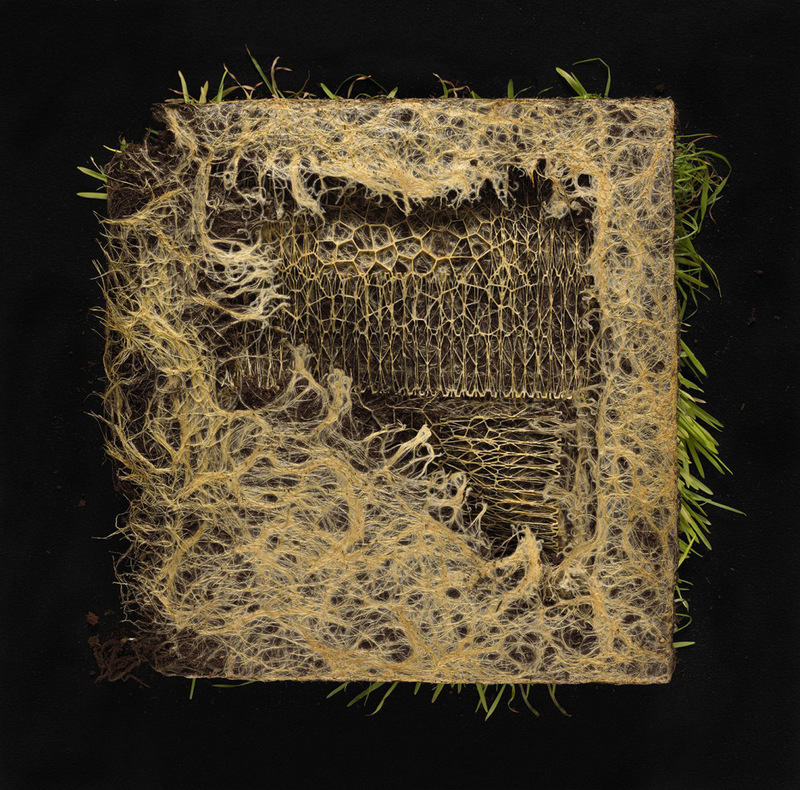 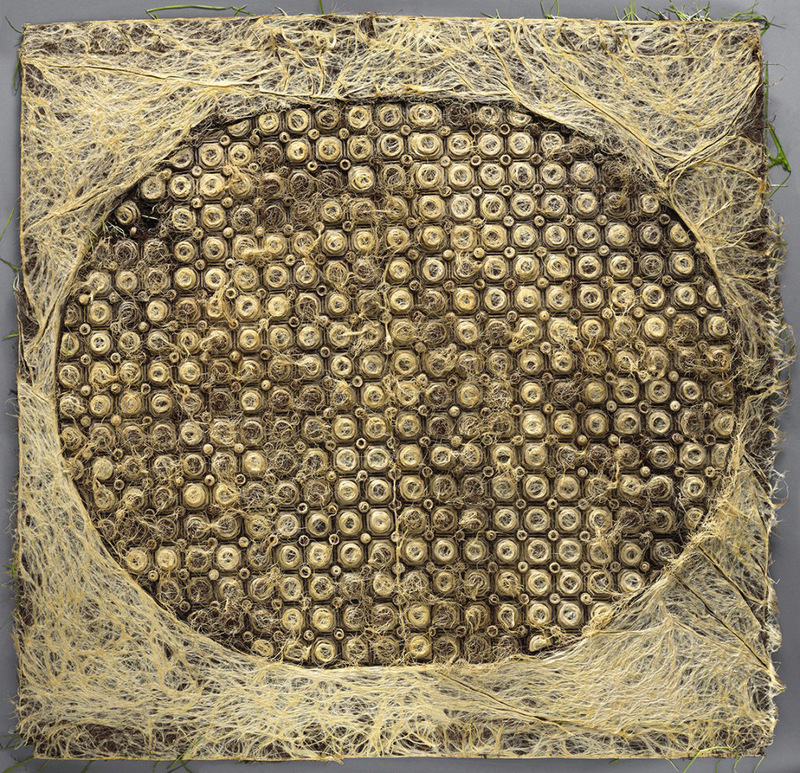 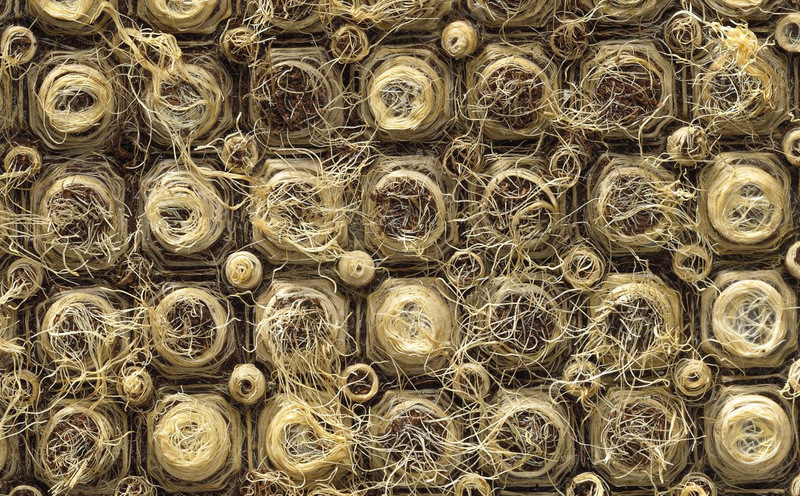 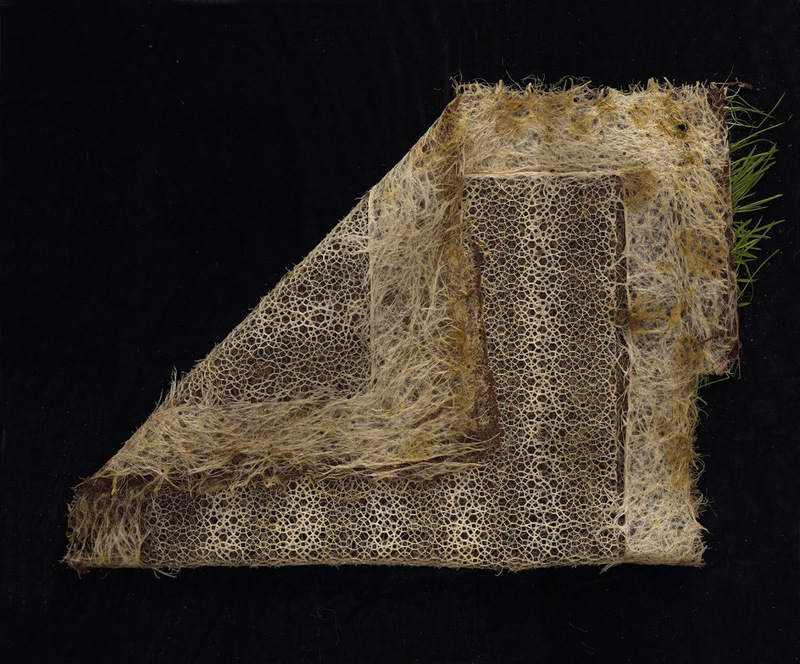 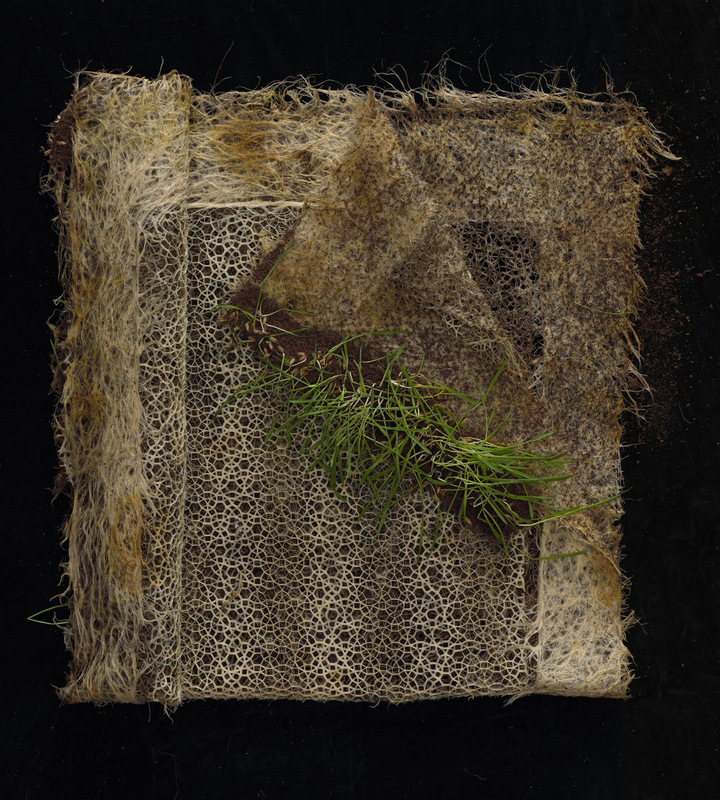 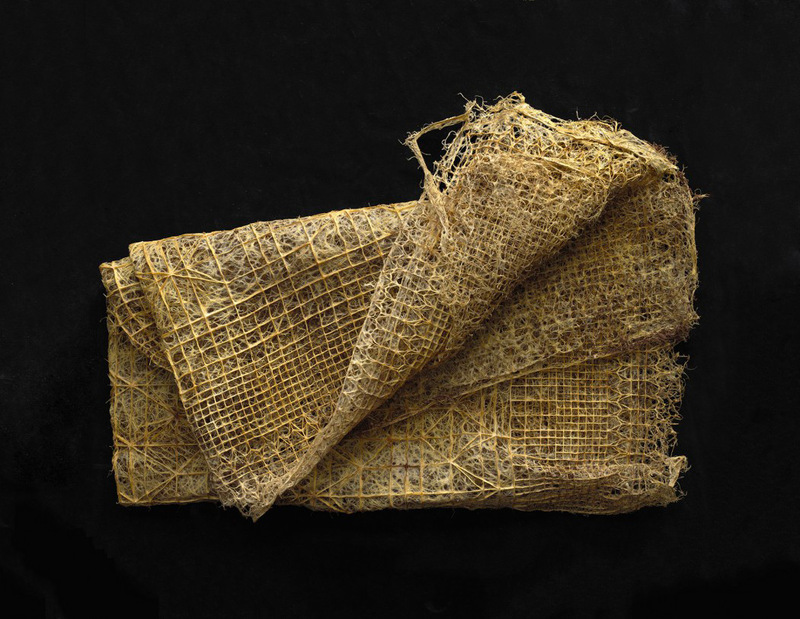 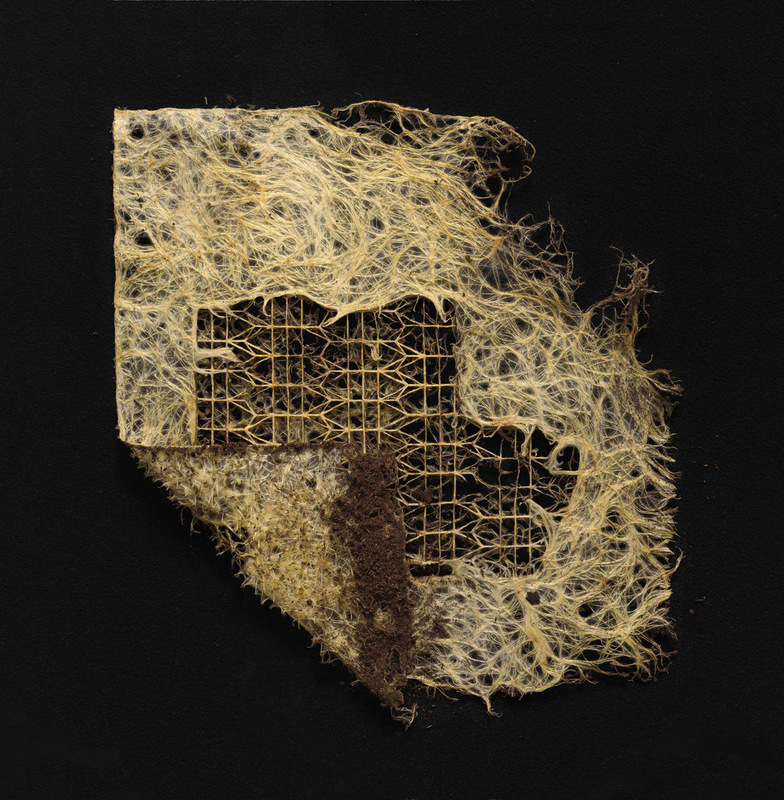 Artist Diane Scherer is fascinated by the intelligence of plants, especially their underground life, the life, growth and development of underground roots, discreet and silent work far from the human eye. 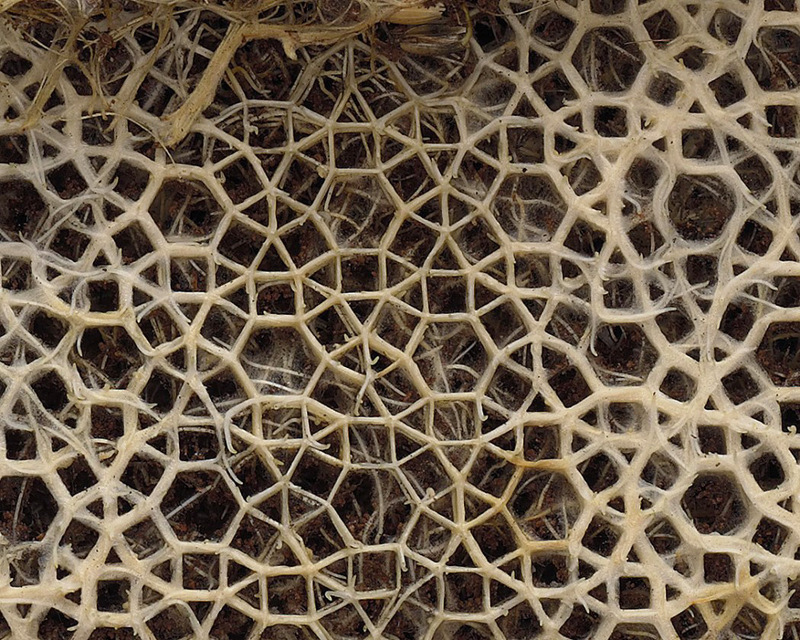 This still little-known field of science has given rise to experiments on her part. 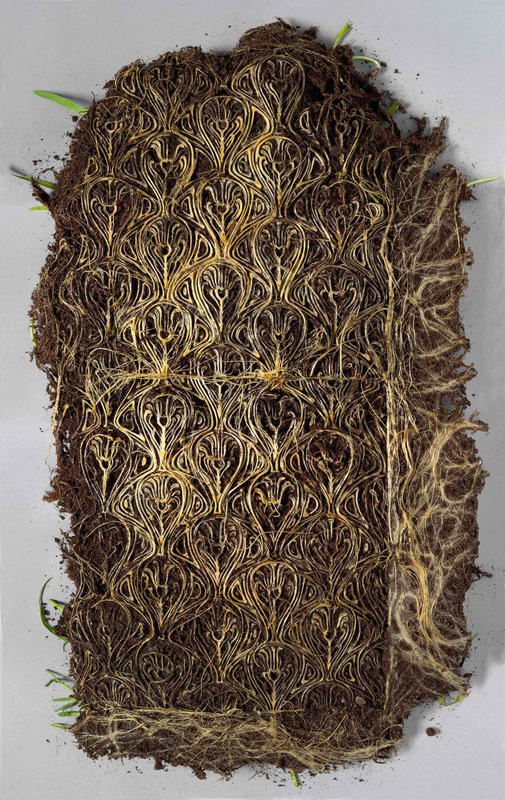 She invited plants to develop their roots by following geometric canvases, in contrast to the more random pattern usually followed by roots. 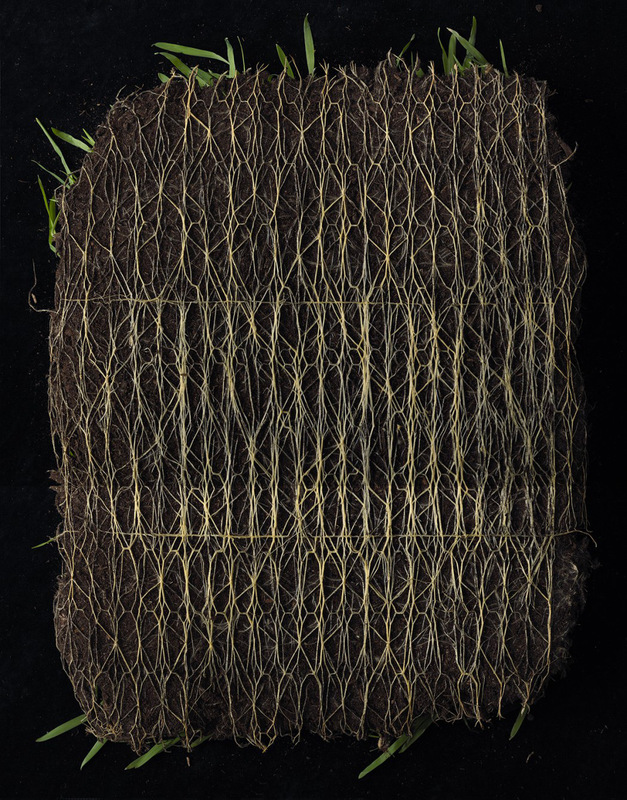 This work with the living gives hypnotic motives, which one might think are artificial but which are simply the result of a partnership between the artist’s creativity and the intelligence of the roots, which she believes our contemporary knowledge greatly underestimates.